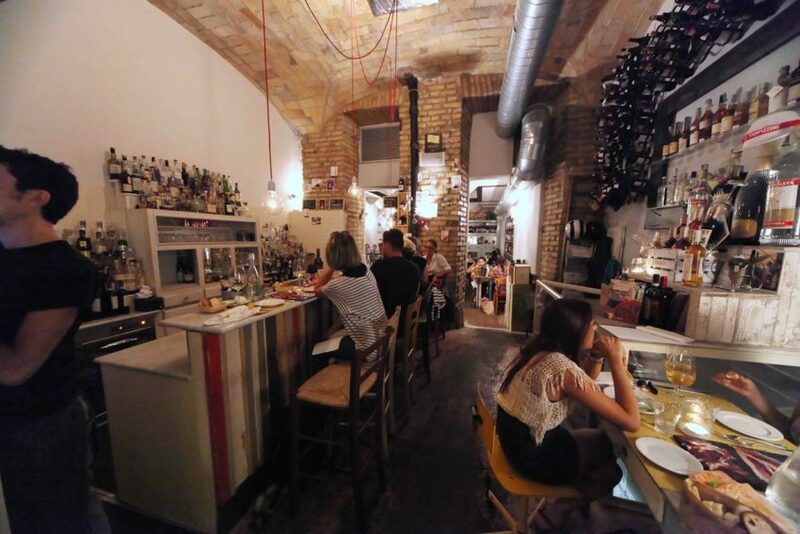 The best restaurants in Rome where you can eat at the bar. Tired of eating alone at a sad little table in the corner of the restaurant? Fed up of the waiters feeling sorry for you? 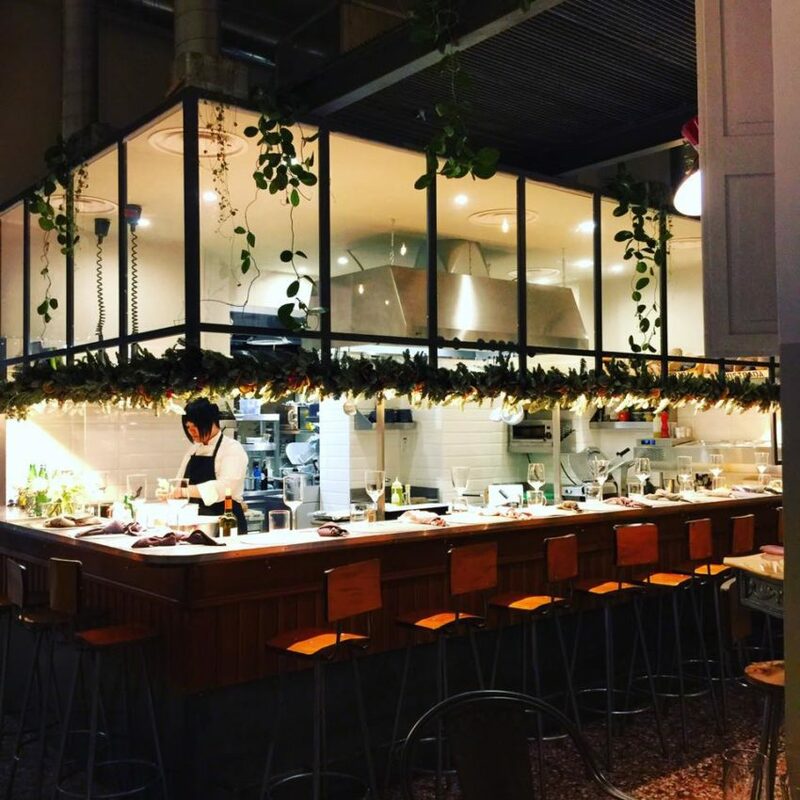 Well then, read on for the best 16 eateries for you – restaurants and street food joints where you can eat at the bar, perched on a stool, watching the chef at work while maybe even exchanging a few words over a delicious glass of wine. 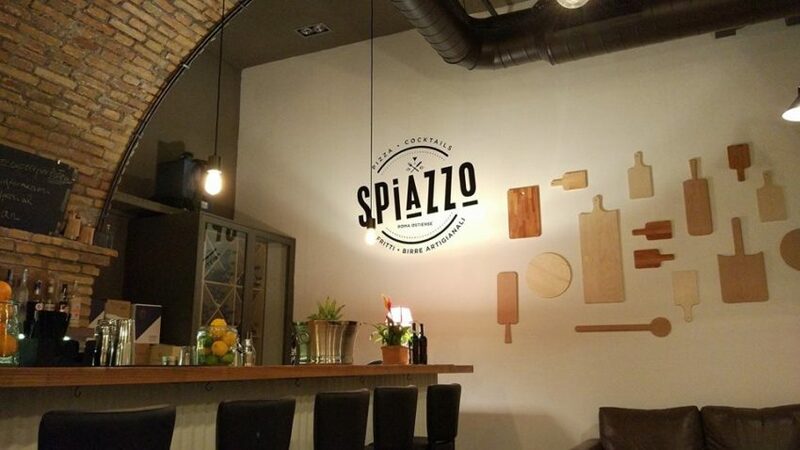 In this stylish restaurant two minutes from the Colosseum, you can enjoy cocktails at the long, curving bar at the main entrance and even order from the bar menu for those times when you don’f fancy being seated in restaurant. 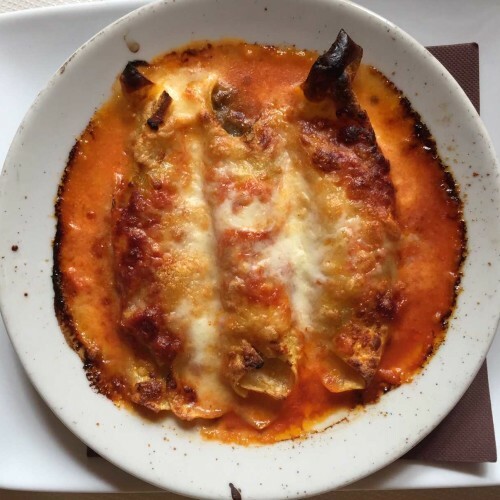 You can taste special dishes such as crunchy vegetable involtini (rolls) (7 euros), bread with butter and anchovies (6), beef burgers (13), or even ravioli filled with pork and ‘nduja (Calabrian sausage) (9 euros). 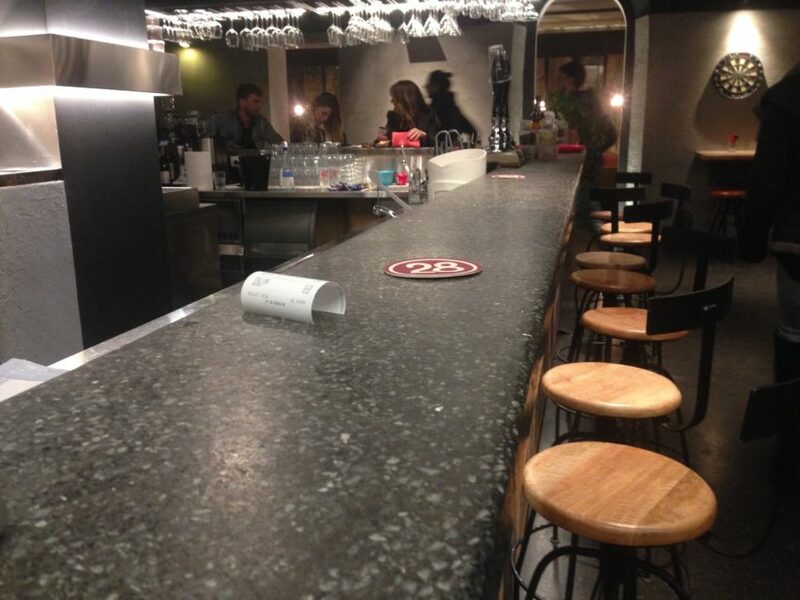 A long bar welcomes you to one of the most renowned spots in Rome which is home to both a restaurant and a pizzeria. 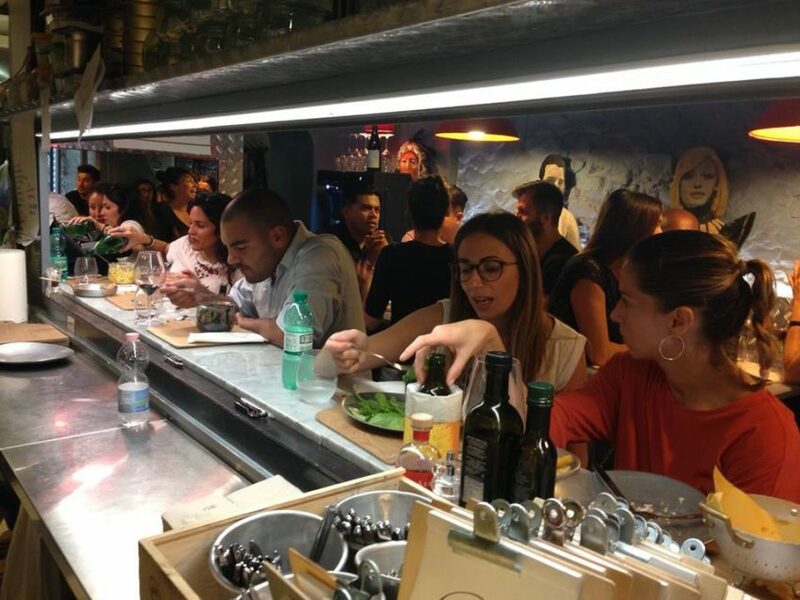 At the bar you can eat cicchetti (small snacks), burgers, starters, and main dishes which are also available in smaller portions. Then there are of course a variety of cocktails and wines to choose from. 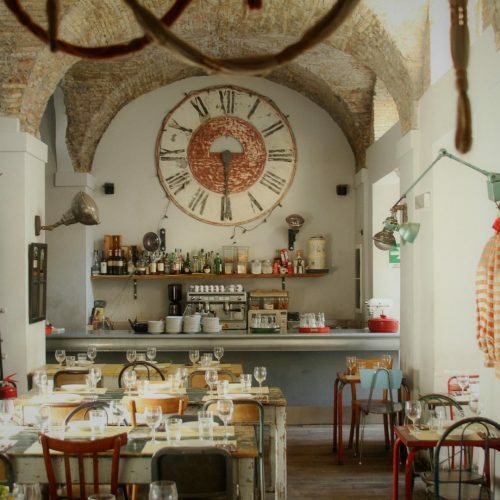 One of Rome’s most trendy restaurants has a cosy bar at its entrance. It’s maybe a little uncomfortable and generally tricky to get a seat, but a good spot for people-watching and for passing time before the evening really kicks off. 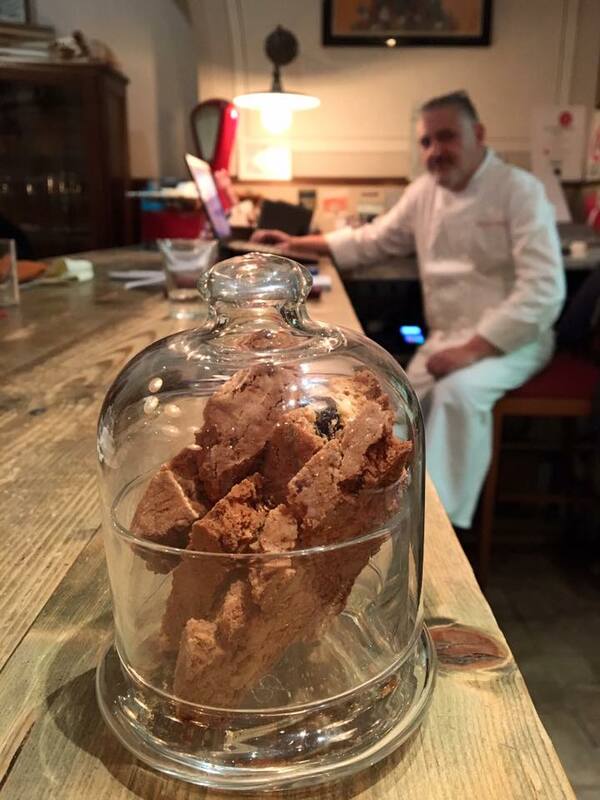 Retrobottega is one of Rome’s most original and modern restaurants serving food made with high quality ingredients. 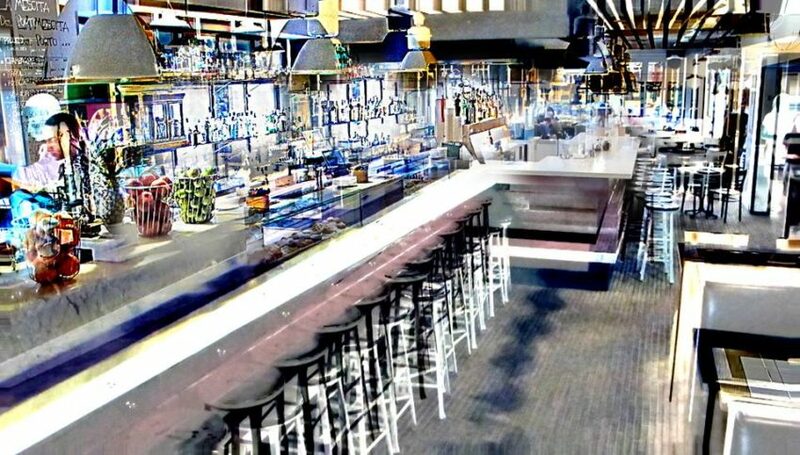 The bar surrounds the open kitchen and is soon to double in size thanks to renovations in the new year. 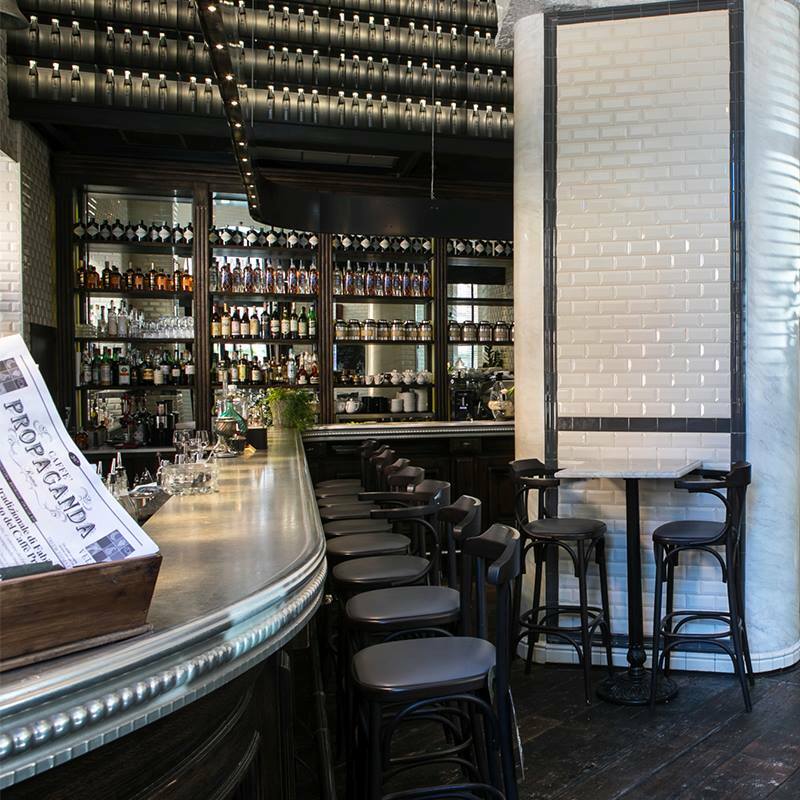 A stone’s throw from the Trevi fountain is Baccano, which has a long, New York-inspired bar. It is principally an oyster bar, but you can also eat and drink from the main menu. 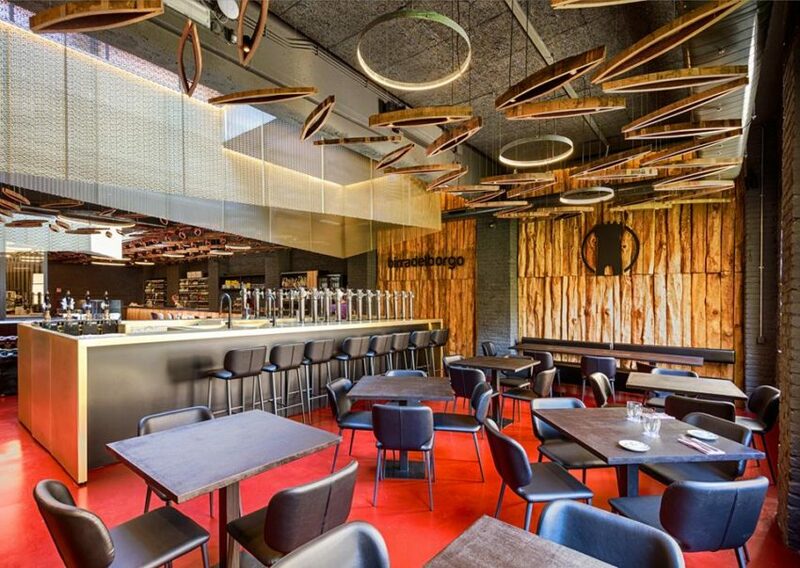 Pianostrada‘s new restaurant has a huge circular bar surrounding an open kitchen, allowing you to observe the impressive team of cooks and waiters hard at work. 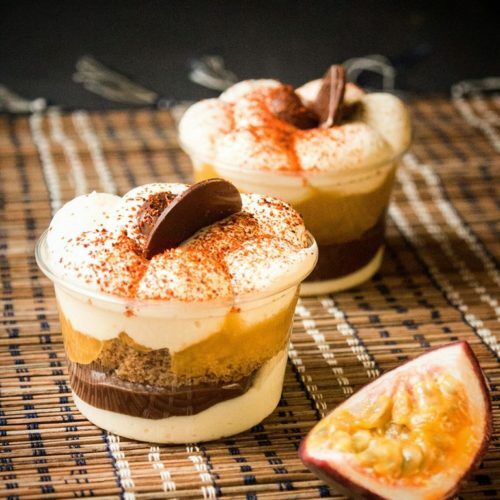 Eggs, the restaurant created through a collaboration between Puntarella Rossa and Zum, has a marble bar that seats nine, from where you can spy on the chef Barbara Agosti as she prepares many variations of carbonare and egg-based dishes. 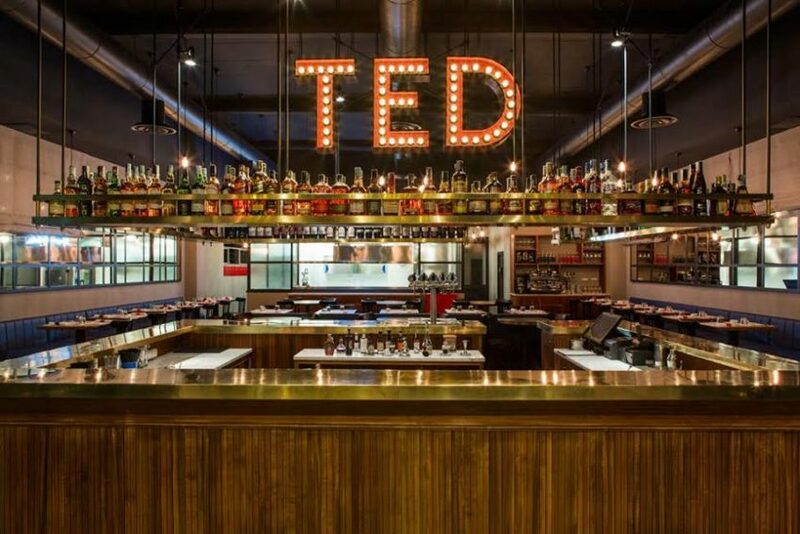 Ted Lobster and Burger channels an international vibe with its enormous, spacious bar where you can tuck into their speciality, the lobster roll. Arcangelo Dandini’s restaurant has a long wooden bar where, especially at lunch time, you can enjoy excellent Roman dishes made by the chef. Queen Makeda is a traditional pub that serves delicious food. 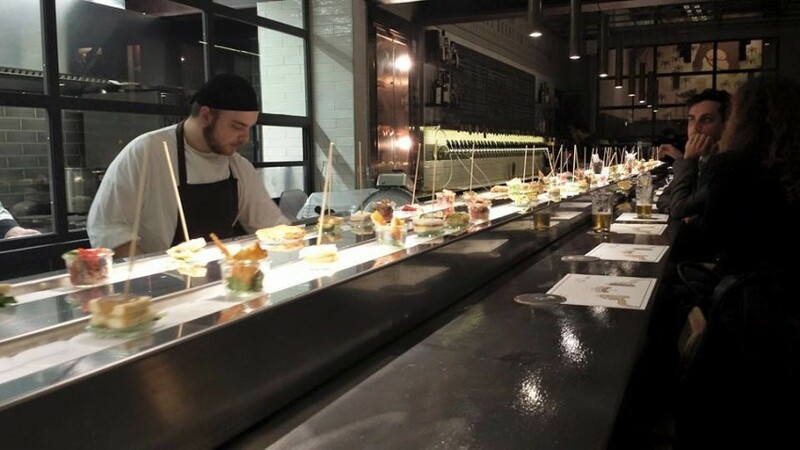 There is a long bar in true ale house-style where you can try burgers, yakitori, salads, cous cous and dishes from the wok. 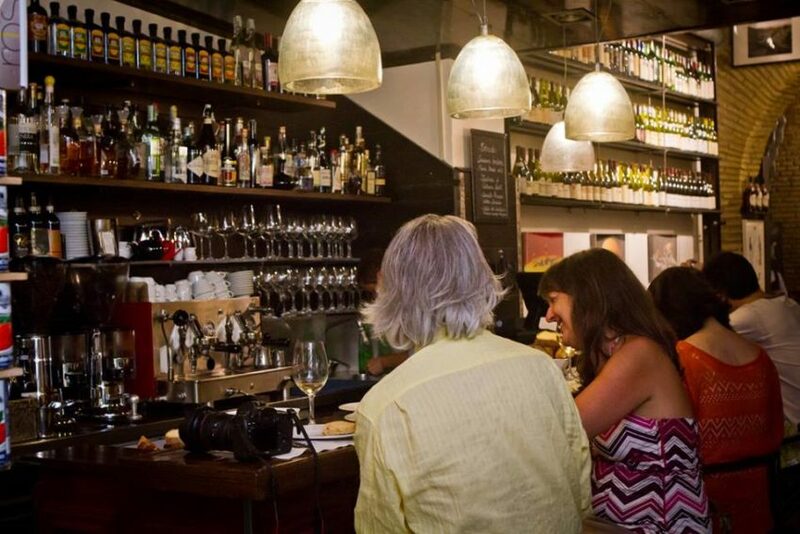 This wine bar run by Marcella Capaldo is one of the most original and fun bars to open in the last few years. The perfect spot for a glass of vino, there are hundreds of grapes to choose from. 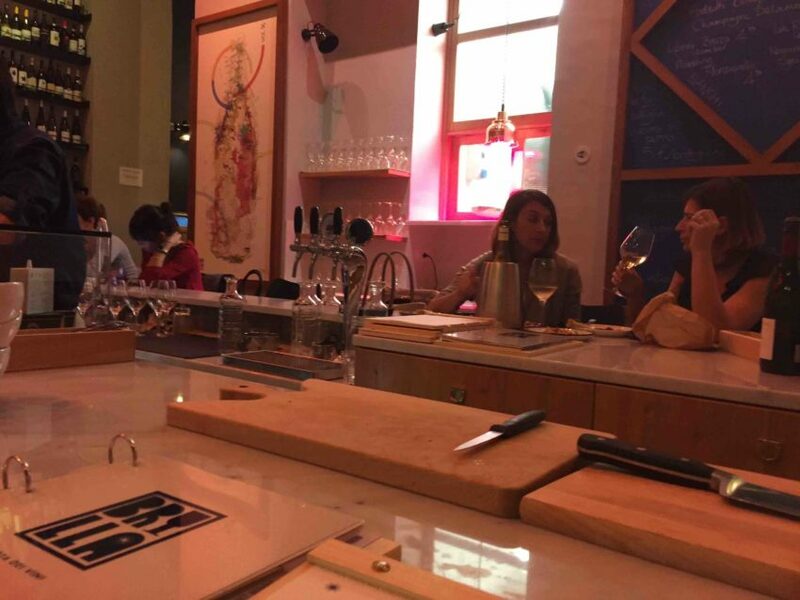 You can even drink by the glass thanks to the special Coravin system. There’s also an interesting if not that substantial food menu. You can eat in the restaurant area or sit down at the elegant two-sided bar that dominates the main room. Opening hours: from Tuesday to Sunday from 12pm to 3pm and from 6.30pm to midnight. Closed on Mondays. 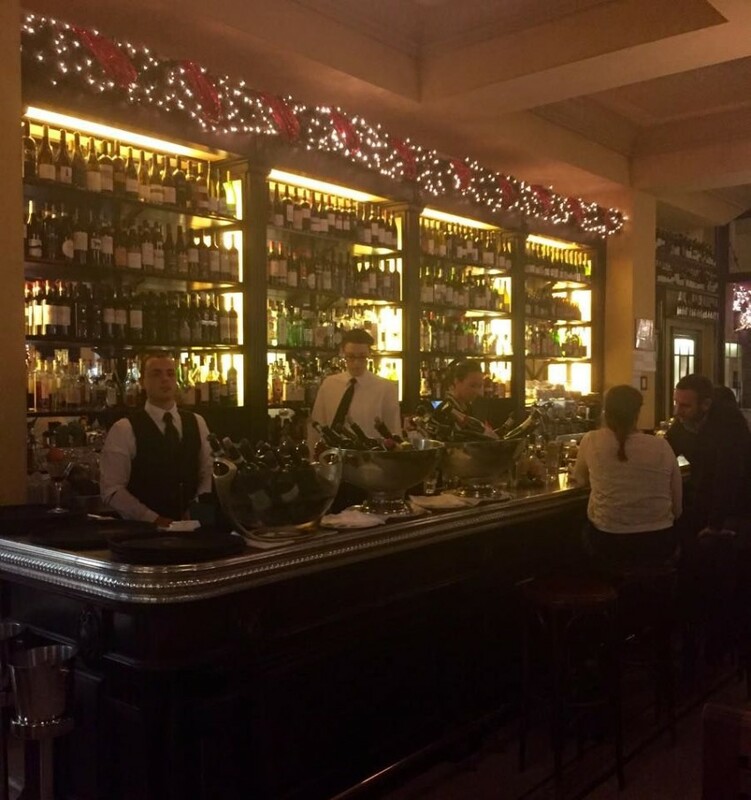 A lovely restaurant that takes pride in being Roman, Roscioli is a great place to eat at the bar while watching over all the hustle and bustle. 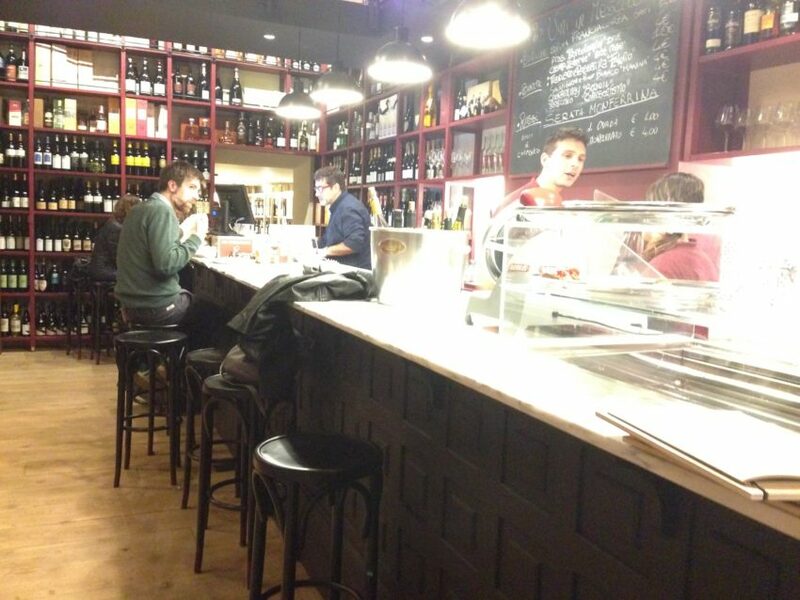 In the very recently opened Enoteca Bulzoni there’s a long bar at the entrance which is the perfect place for a glass of wine and a plate of tapas. 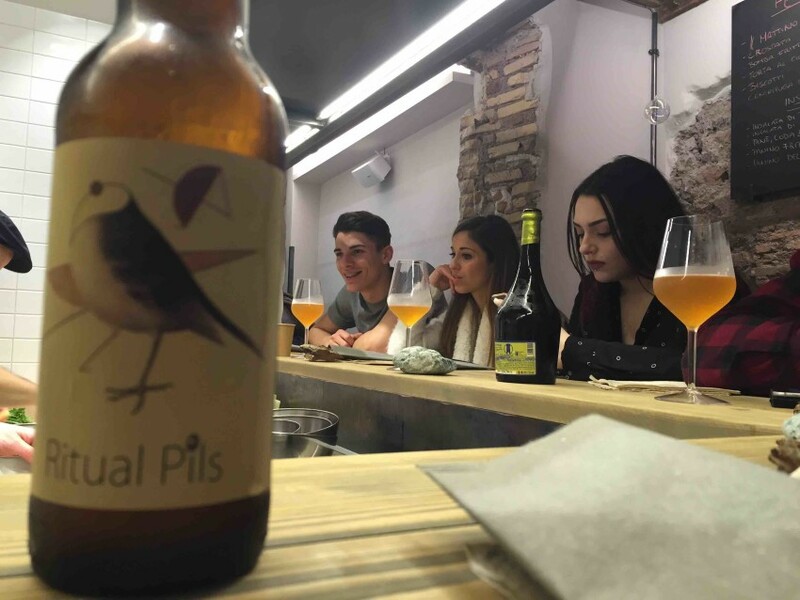 In this pizzeria in Ostiense there’s a long wooden bar with stools where you can try one of the six artisan beers on tap. 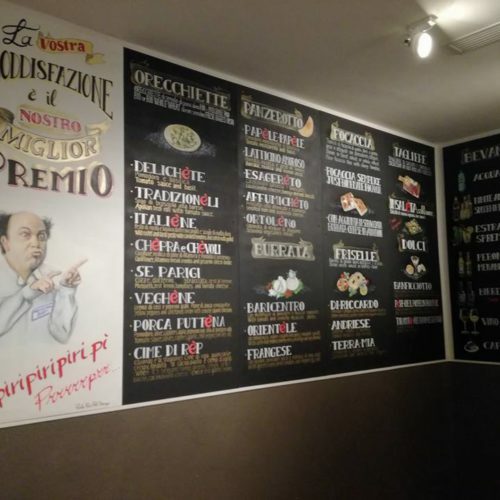 Here you can enjoy a pizza, obviously, but also fried Roman snacks, supplì and lingotti. In this new eatery/bar, there’s a long rectangular bar where you can enjoy craft beers but also leaf through the very interesting menu. There are the tasting plates (pata negra and tomato bruschetta, mortadella and hummus, from 3.50 to 5 euros) but also fried Roman snacks and excellent meat dishes cooked in a charcoal oven (from 10.50 to 17 euros). 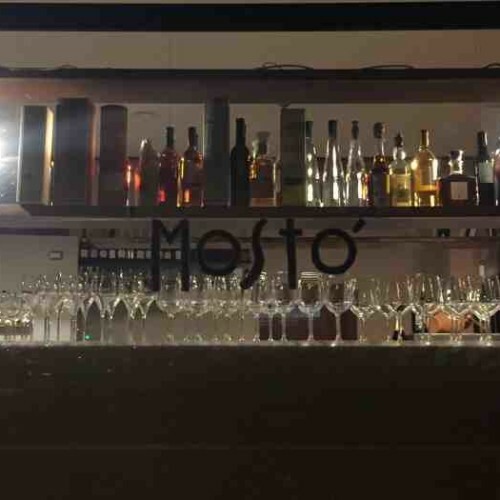 The new Osteria del Borgo actually has three bars, one (in the photo) over looking the pizzeria, one at the entrance and one in the centre of the restaurant.